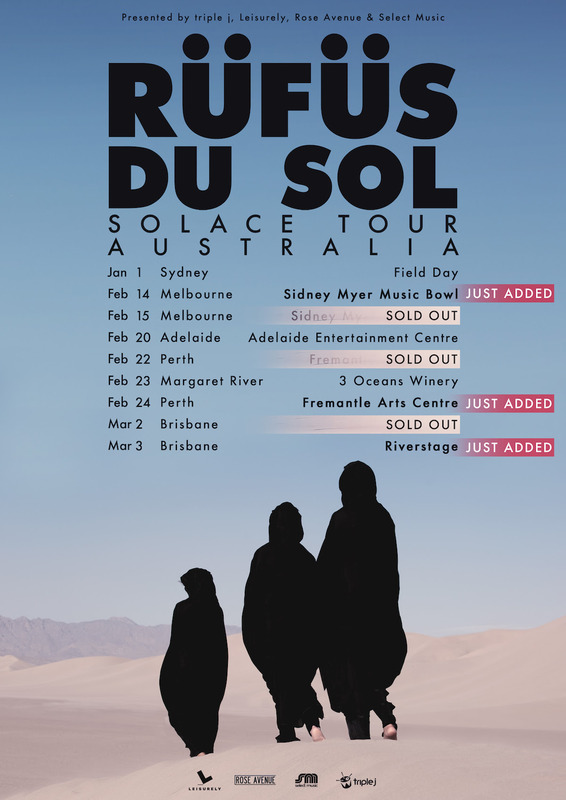 What a huge week it’s been for Australia’s own RÜFÜS DU SOL. After dropping their anticipated third LP Solace last Friday, the trio announced their biggest Aussie tour yet on Monday, and this morning their epic run of shows just got even bigger with Melbourne, Brisbane and Perth selling out within minutes of going on sale this morning. To graciously satisfy the demand from their eager and loyal fanbase, the guys have announced second shows in Melbourne at Sidney Myer Music Bowl on Valentine’s Day Thursday February 14, Perth at Fremantle Arts Centre on Sunday February 24 and Brisbane at Riverstage on Sunday March 3. Massive venues, massive tracks; this tour is set to be the Aussie live music event of the new year. 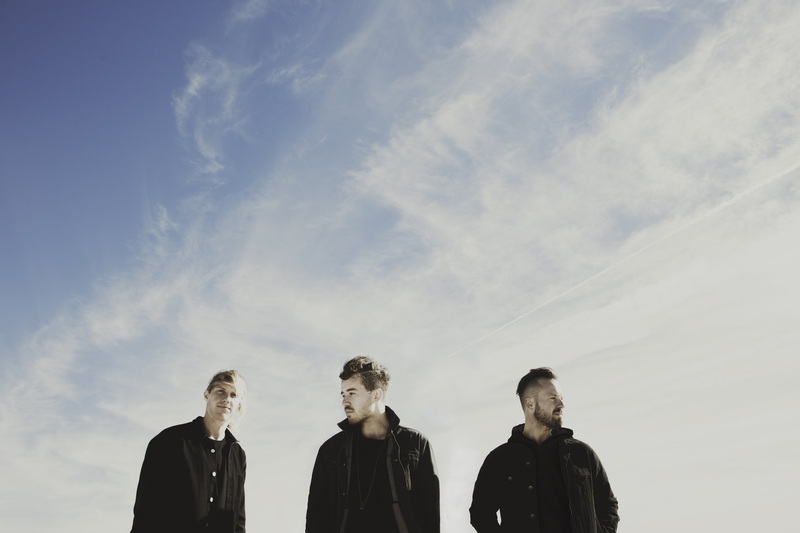 Solace follows RÜFÜS DU SOL’s previous two platinum-certified albums ATLAS and Bloom, and is an album that is as sonically rich as it is emotionally intelligent. The Australian three-piece, comprised of members Tyrone Lindqvist, Jon George and James Hunt, have explored new territory on Solace; born out of a particularly poignant period for the band, it tackles heavier themes such as the pain of loss and the persistence of memory. This is unequivocally the group’s most sophisticated work to date. General public tickets to all shows are on sale now.